Pupils Reflections on Digital Communities Initiative. Class Eight pupils during a Mathematics session. The schools have recently re-opened and we are excited to be back at Wekhonye Primary School. We are looking forward to a great term ahead working with the teachers and pupils at the school. Before delving into this terms activities, it is important for us to share some reflections from the previous term. Before schools closed in the last term, the students wrote journals reflecting about Digital Communities Initiative (DCI) impacts on their education. We didn’t realize what DCI meant to the pupils until we read the journals by class 4-7 pupils. In this piece, I share selected excerpts from the pupils with you. “I am happy to use tablets because it was my first time use them and touch them. I read story books, I learned how to construct angles and learned how to use tablets. I will work harder to be like you” wrote Valentine Bahati, a class seven pupil. “You were not harsh to us because we did not know anything and you taught us slowly by slowly until now we know how to use tablets and play the games in them. We are very happy with you and we want you to stay for a long time” writes Austine, a class 6 pupil. “It was also interesting to note what students wrote about absenteeism after the introduction of DCI to the school. 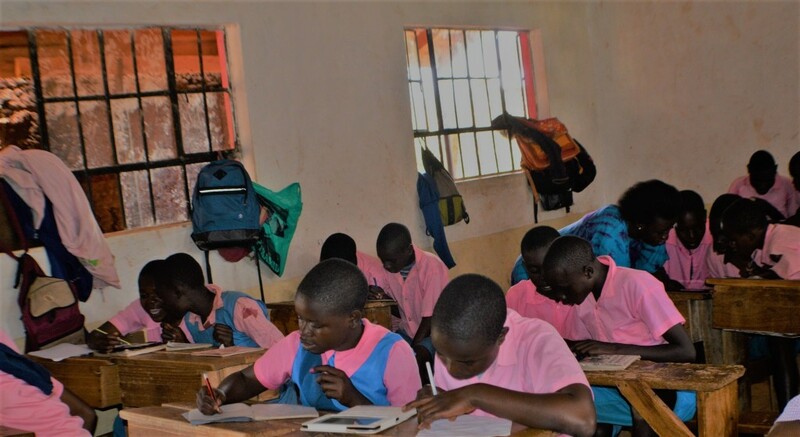 “I did not fail to come to school the next day since I knew that I would get to play games and read storybooks using the tablets,” writes Redempta, a class 6 pupil. “The most exciting section was the storybook section. I like reading story books. They have made me know how to read and write in English and Swahili. These teachers have been really helpful to us during the period they have been with us. 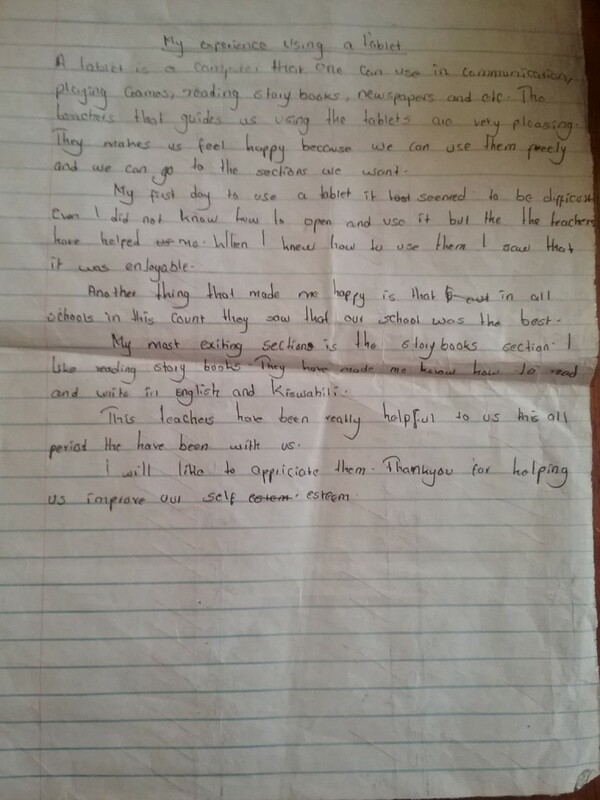 Thank you for helping us improve our self-esteem.” writes Hope. A pupils journal reflecting on her experience using tablets for education. As we set off for a new term, we shall be sharing interesting stories from the pupils and teachers. Stay posted!